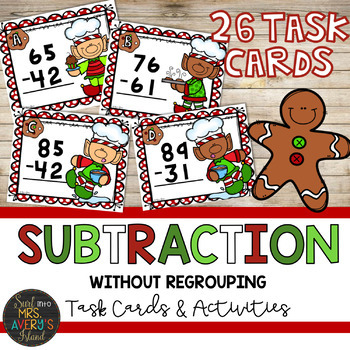 This two digit subtraction without regrouping resource is perfect to incorporate into your math lesson plans, and is guaranteed to help your students master this math standard. Get ready for 100% student engagement! 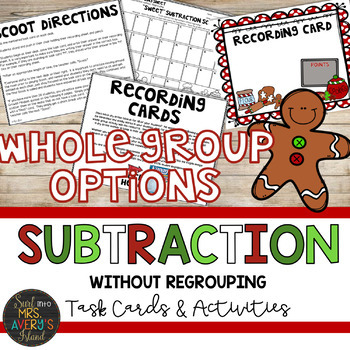 Whether you plan for your students to use them in a whole group lesson, small group lesson, or even an independent or partner activity, you will not be disappointed. QR Codes are also provided for students to self-check their answers for teachers wanting to incorporate technology into the activity. Check out these December top selling resources! 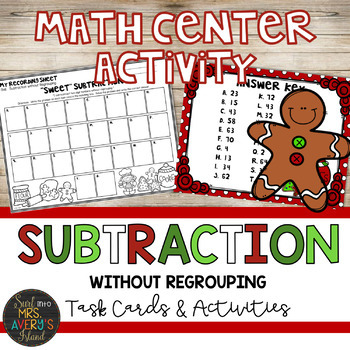 Aligned to standards and guaranteed to keep your students engaged as well as your sanity in the midst of the holiday hype! Click to see what other teachers have to say! ©Kelly Avery & Mrs. Avery’s Island. All rights reserved. Purchase of this product entitles the purchaser to reproduce the pages for ONE CLASSROOM ONLY. Duplicates for more than one classroom such as another teacher, grade level, school or district is strictly forbidden without written permission from the author, Kelly Avery. Copying any part of this product and placing it on the Internet in any form is strictly forbidden and is a violation of the Digital Millennium Copyright Act (DMCA). 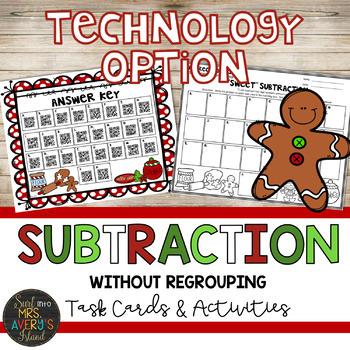 You may show how this product was used on your website or blog as long as you provide a link back to my TPT store. Thank you in advance for respecting my time, effort, and money used to make this resource possible. Thank you so much for visiting my store today!